What if you don’t have access to a fireplace or pit or, worse yet, the pleasure of kitty companionship this year? Well, here’s Lil BUB to the rescue! There isn’t much better than snuggling up to a cozy fire with your favorite feline on a cold winter’s night, but what if you don’t have access to a fireplace or pit or, worse yet, the pleasure of kitty companionship? Fortunately, Lil BUB has come to the rescue on both accounts. 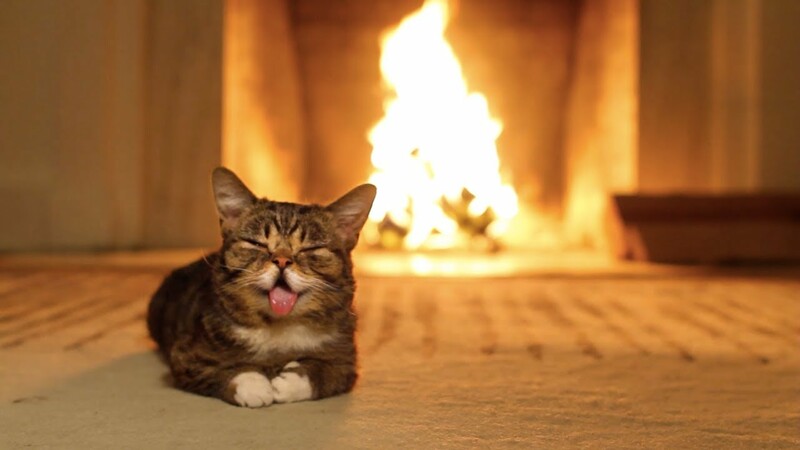 Her 5th Annual Yule Log Video states, “It’s like having your very own fireplace, and very own BUB but without the smoke or the litter box. It’s win/win/win situation.” And we couldn’t agree more. Now, where are those marshmallows? Awwwww It’s so adorable .